The Hybrid Microcircuit Technology Handbook integrates the many diverse technologies used in the design, fabrication, assembly, and testing of hybrid segments crucial to the success of producing reliable circuits in high yields. Among these are: resistor trimming, wire bonding, die attachment, cleaning, hermetic sealing, and moisture analysis. In addition to thin films, thick films, and assembly processes, important chapters on substrate selections, handling (including electrostatic discharge), failure analysis, and documentation are included. 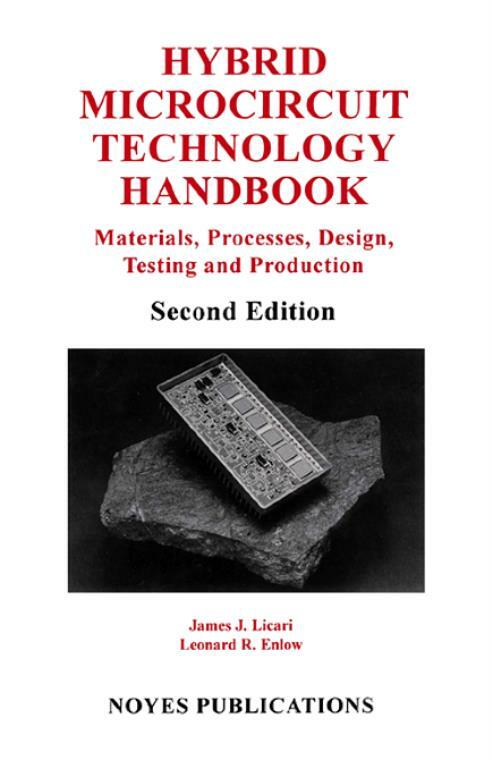 A comprehensive chapter of design guidelines will be of value to materials and process engineers, chemists, and electrical engineers who design and test hybrid circuits.